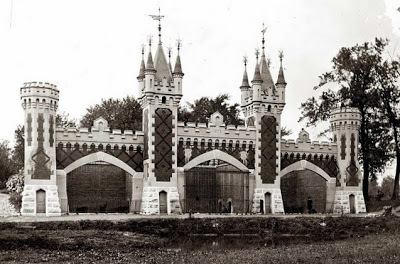 There's a castle like structure at Fairground Park in St. Louis, MO. It still stands and once were bear cages as part of a zoo. Went by to look at it a couple weeks ago. Now used by the City of St. Louis for park vehicle storage behind it. Link to blog on it and what it looked like originally.